Getting ready to go … Camino number three. My third Camino de Santiago is only 23 days away. I start my third Camino on August 25th from St Jean in south western France. It is often called the Way of Saint James, also the French Way or the Napoleon Way. I will cover the distance of 500 miles in 34 days. I have been training off and on for the past three months but I have just begun the more serious training. By serious training I mean that I now carry my backpack with about 23 pounds … 20 pounds of gear and three pounds of water. My immediate goal is to break in my new Camino shoes, a pair of low rise Northface shoes with firm toes to handle the rocks or as I like to call them … the Spanish Potatoes. I also will refer to my shoes as my “Limo’s” while my feet are my “Passengers”. I do believe that training for endurance and strength are vital to completing the Camino. Nothing is more important than having both your Limo’s and Passenger’s as well prepared as possible. If this part of the training comes up short it will mean that I will suffer with blisters or worse yet that those blisters will put an end to the Camino long before I have completed the 500 miles. I have had blisters on my first two Camino’s which were not only expected but could be dealt with. I have also seen others who had blisters which were so bad that they were hospitalized and had their journey end painfully. My step up in training began in earnest two weeks ago when I upped my training distance with a 16 mile day with 23 pounds. I was tired and sour at the end but no blister issues. The real measure of how well your training is advancing is how long it takes to recover. For me that is just how ready I am the next morning when I first get out of bed. Sore? Yes, but able to go back out and do it again is what matters. The time it takes to cover whatever distance you are facing for the day does not matter. The only thing that matters is that you cover the distance without injury … it is not a race. I was fortunate to have just spent five days with friends in Jackson Wyoming aka Freedom Wyoming. It is difficult to adequately describe just how beautiful their home is at the Double LL Ranch. Spectacular is a good word but still falls short. While there, I was able to get in two training days, a ten and a seven miler both without any weight. It was warm but it was also flat so the distances were not a problem .. the challenge that I had not taken into consideration was the elevation of nearly sixty-five hundred feet. I was far more tired at the end of these two days than I had been carrying twenty three pounds and covering sixteen miles at sea level. On day one of my Camino which starts in St. Jean France, the starting altitude is 590 feet above sea level but on that fist day I will be going up and over the Pyrenees’s with the climb going up to 4719 feet. Day one ends in Roncesvalles Spain which is at 3100 feet above sea level. The first day will be difficult with good weather and very difficult if conditions are less than ideal. The temperature change as you climb up and over the mountain is a bit of a challenge and requires some planning for what to wear and what to have in your backpack for potential changing weather conditions. A new addition to my training is walking the golf course and carrying my bag. The golf bag weighs 22 pounds which is an ideal match to what I expect my backpack will weigh. On my first day carrying my golf bag I did not have ideal conditions. The temperature had risen to 104 … well above average and not what I had planned on. In all honesty it was not a good decision. There were five of us playing … the other four were in golf carts as I walked and did my best not to fall behind. I tracked the number of steps and the actual distance I walked. In the end it turned out to be 6.5 miles. While the distance was not an issue there were a number of challenges. First the weather. There was no reason to walk and carry at 104 degrees, it was just foolish. The second challenge was that I did not sit down once in the four and a half hours I was out there. No matter what conditions I will face on the Camino I will never be faced with not being able to stop, take off my backpack and just sit, rest and hydrate. The last challenge came with about an hour and a half to go. There was a short but intense rain and hail storm which resulted in getting quite wet which also made everything feel heavier. Once the storm passed and the sun returned, the humidity skyrocketed which made the walk even more uncomfortable. I did get a blister but not on the either of the passengers … on my left thumb. Stopping and starting as we played meant that I was taking off the golf bag, hitting a shot and then throwing the bag back on as I marched to try and keep up. The straps kept getting tangled as I walked and my attempts to slide the bag into a comfortable position resulted in the blood blister. I won’t make this mistake again. I will get a new bag with better straps and I will not walk for four and a half hours without sitting and I will not walk and carry if the temperature is above 90 degrees. For the record I did not play well! All part of the journey. The training continues and I feel like I’m on schedule. I covered 17 miles on Monday and Tuesday and also had a very heart pounding workout with Donovan on Tuesday and on Wednesday morning I felt well recovered. The Camino questions continue to surprise me. I bumped into an old friend I had not seen in quite a long time and he asked me if I was still doing that walking thing. I told him yes and also mentioned that I was going again in August. He laughed and then asked if I would make it? He went on to comment that he would hate to see Robin have to travel to Spain to get my ashes just like in the movie The Way. That was an interesting comment followed by a question I get often … Why are you doing it again? There are many reasons like helping to raise money for a great cause, it’s a challenge, the solitude and more but the answer I gave was “because I can”. I’m not sure how much longer that may be true so if I don’t go now I may find myself looking back regretting that I could have but I didn’t. None of us can predict the future so I’m going now while I can still manage the physical challenge. I don’t think anyone could count the number of people who have put off doing something they really wanted to do and ended up finding themselves forever regretting the decision to delay once the opportunity was gone for ever. I asked him if there is anything he wished he had done that he put off and now finds himself regretting it forever? He didn’t respond. Fifteen days to go until I get on a flight to Madrid. Arrive on August 22nd and then a short flight to Pamplona where I will stay one night and then on the 24th take a car service to St. Jean in south western France where the Camino starts. My actual Camino starts when I step onto the Camino in St. Jean on August 25th. Today was a solid training day. First an hour workout with Donovan and then strapped on my backpack and went on a 10 mile walk. It was warm and that’s good because when I get to France it will also be warm. The first day up and over the Pyrenees with cooler temperatures as the elevation increases will be a welcome change. I have made my list of all the items which I will carry in my backpack. I will soon get it all together so that I can pack the bag and weigh it. The target maximum is 22 pounds. If that is exceeded I will need to decide which items won’t make the trip. My backpack today including 40 ounces of water weighed 22 pounds but that’s because I stuffed it with towels, golf balls and weights. It’s the real weight created by what I’m really taking that counts. The list of items to pack is up to 40. Most weigh almost nothing but need to be listed and packed. Items like medication, my passport, phone charger, shaving kit and many more will add up in the end… it all counts. I completed 40 miles over the past seven days which is good and puts me on track in my training. I read an interesting summary of statistics today about the breakdown of the age groups walking the Camino. The largest group of Pilgrims was the under age 30 group with a total of 26%. My age group, over 60 totaled just above 15%. The more interesting stat involved how far the average age groups walked. The largest group at 26% walked only 60 miles from Sarria which is the shortest distance needed to be eligible for the Compostela. Those who walked the entire 500 miles accounted for 15% of all Pilgrims and those who completed the 500 miles in the over age 60 group totaled just 2% of all Pilgrims awarded the Compostela. My actual age group was less than 1% of the total. Men made up 52% of the total and women 48%. These totals only represent those who completed the Camino. Those who started but did not finish were not included in the statistics. While I expect this third Camino to be different than the first two I can say that all three have one thing in common. It’s very difficult to find the time to train. Weekends and late afternoons continue to be where most of the training can be accomplished. Simply put it’s just hard to find the time needed. The majority of my weekdays are dedicated to my work which involves lots of time on the phone among other things. 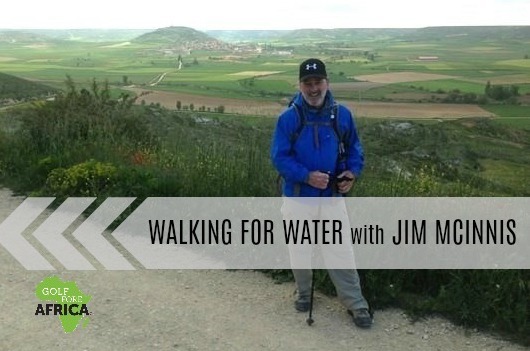 It continues to be the biggest challenge in getting prepared for the Camino. Next post soon … Buen Camino.